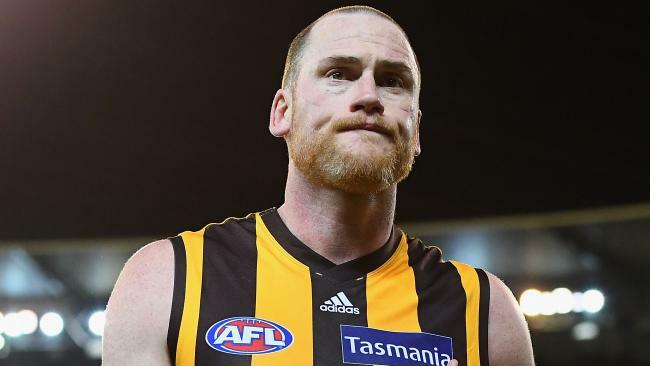 JARRYD Roughead will play at Hawthorn next year, Hawthorn Alastair Clarkson declared after the club's exit from the AFL finals on Friday night. The captain, 31, is contracted for next season but Clarkson had previously revealed he had encouraged the inspirational leader to explore his football options. But after Friday night's game the coach was adamant no further conversation was needed. "No. We've had the discussion and he's playing at Hawthorn next year," Clarkson said. 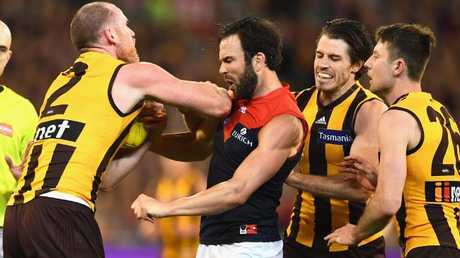 Hawthorn fell 33 points short of Melbourne in Friday night's semi-final and Clarkson admitted his team had let countless chances go wanting. 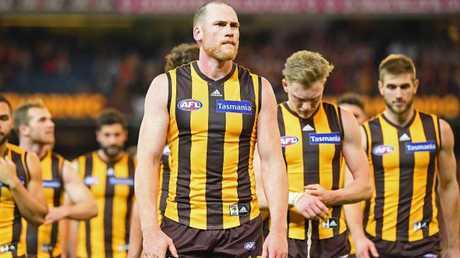 Star midfielder Tom Mitchell was struck down with a shoulder complaint in the first quarter, which Clarkson said was a "stinger", and the coach lauded the Brownlow Medal favourite's ability to push through after "carrying a pretty big load throughout the course of the year". But he said the team had merely played its best cards in an attempt to get to the finals, and once September arrived, they fell away. "We probably played our best of footy from round 18 to round 21," he said. "(Against Melbourne) we saw that we just lacking a bit of quality and polish at the bottom end. "There's some blue sky there. We've worked really hard as a club to get our chance and expose ourselves … to two finals. Unfortunately we weren't playing our best footy in the last month. "We're happy that we were able to get some exposure to our younger players but when you get there on the back of winning six (games) on the trot, you need a few things going your way. I thought we could have given them a shake in the finals, but it wasn't to be." Hawthorn had, he said, "lost its way". "We just lost our way a little bit in the last two or three weeks unfortunately," Clarkson said. "We played against good sides and we just weren't playing at our best when we needed to be. We needed to have all our ducks in a row and get momentum through this September campaign … they didn't let us play in the manner we'd like to play all the time. "Ultimately our polish and composure wasn't up to the standard of the two opponents that we've played." Clarkson said the team would explore all options of trading, free agency and the draft to add to every line of its list, and endeavour to develop more of its own players "organically". "We've come off the period that we had from 2011 to 2016-17 … we probably need to add players wherever we can," he said. "We need some more support for the midfield and we need more goalkicking targets. It's right across the board that we need to improve the quality of our list and the quality of players on our list. 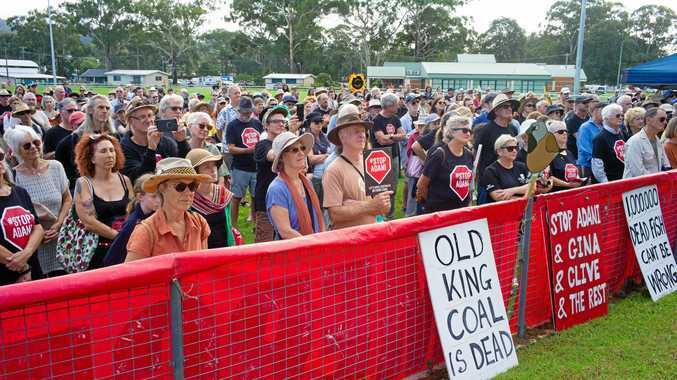 Some of it will be organic … and some will be trying to inject new players to our club."